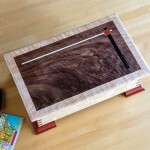 Each of Doug’s Marquetry is like a miniature piece of furniture. 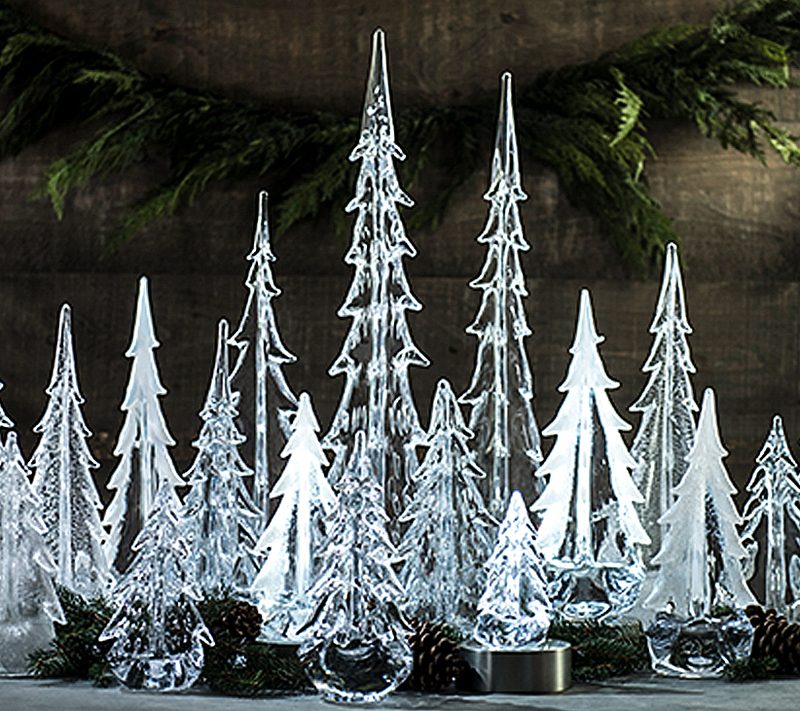 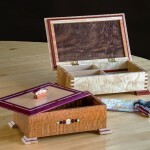 The craftsmenship of each little detail is beyond compare. 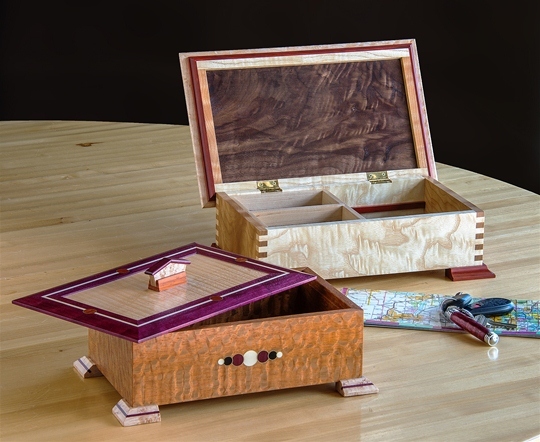 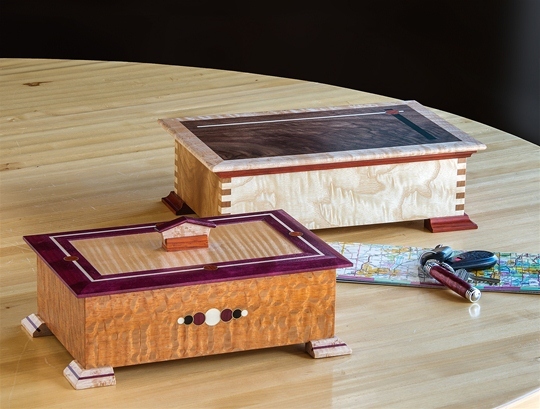 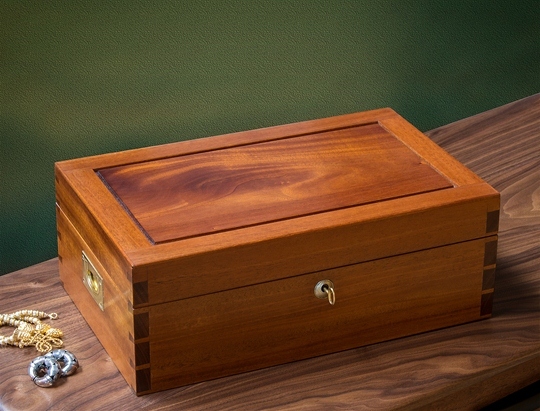 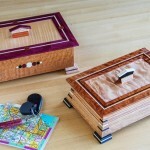 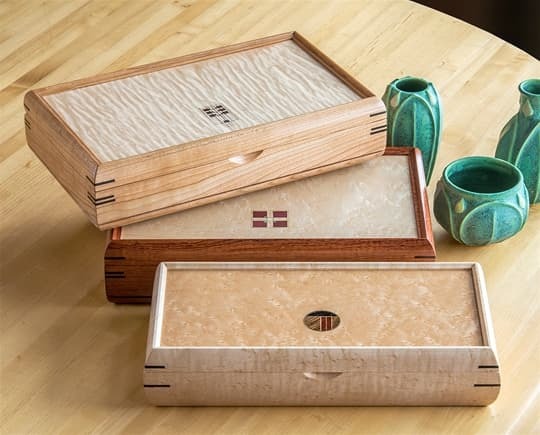 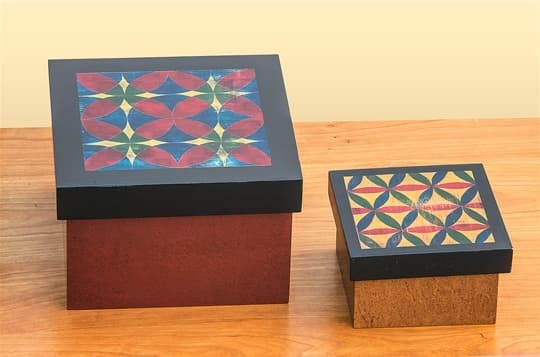 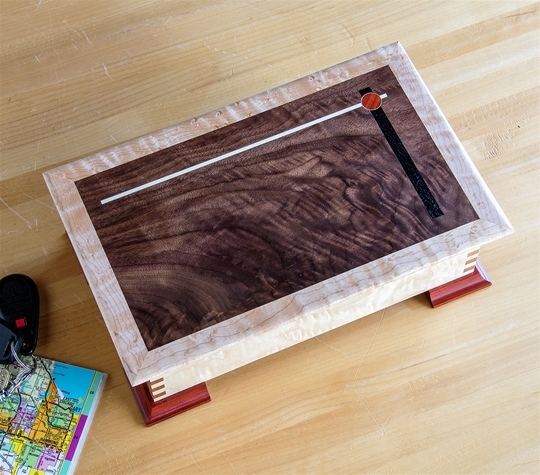 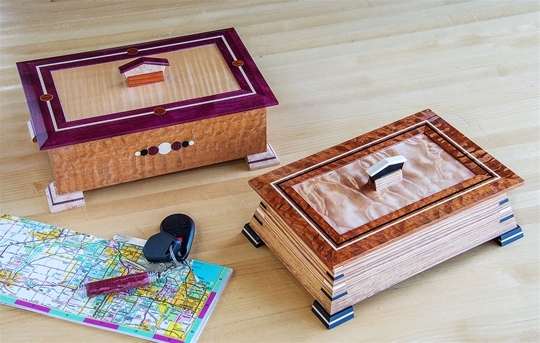 Doug uses scrap pieces of wood including birdseye maple, purple heart, ebony, mahogany, cherry, paduk and cocabola to create one-of-a-kind boxes in which you can store everything from stamps and love letters to your most precious keepsakes and jewels.